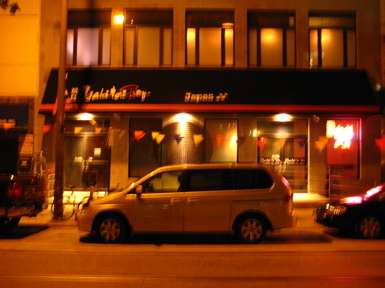 Yakitori Boy is modeled after Izakaya, similar to a Japanese version of a pub. In the spirit of that balance, and in the tradition of izakaya, FOOD MUST BE ACCOMPANIED BY DRINK! We have created an innovative cocktail list, wine list, sake list and bottle service menu (for our 2nd floor upscale lounge). Our traditional pub fare including okonomyaki, tako yaki and udon are meant as finger food while you sip cocktails with friends and colleagues. Hang at the downstairs bar for a more Zen experience or kick it up a notch in Japas, our upscale lounge fully equipped with karaoke!